Could you and your family be at risk from EMF exposures? Do you press your cell phone against your head while talking? 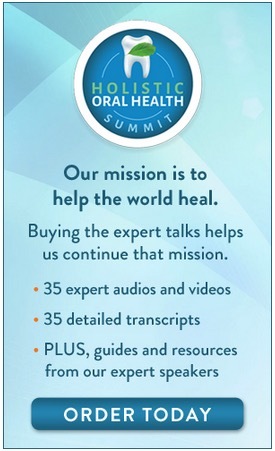 Do you talk for 2 hours or more per day on your cell phone? Do you carry your cell phone on your person when it is switched on (ie in standby mode) for most of the day? Do you talk on a cell phone in your automobile? Do you keep your cell phone close to your bed at night? Do you use Bluetooth wireless? Do you use your cell phone when the signal strength indicator is low? Do you use your cell phone for streaming more than 2 hours per day? Do you use a computer for more than 4 hours per day? Does your computer monitor use a cathode ray tube? In your place of work are you within 2 meters of other computers? Do you use a laptop rather than a desktop model? Do you use a laptop primarily on the mains power supply? Do you use a laptop computer or smart phone type device on your lap? Do you use a wireless modem router ? And do you sit within 2 meters of it? Do you remain near your microwave oven when it is on? Is your home protected by a wireless burglar alarm? Do you have DECT cordless phones installed in your house? Do you have a cordless phone next to your bed? Do you have WiFi installed in your home? Do you or your children use wireless video gaming software like the Xbox360 or the Playstation 3? Do you have a wireless music system installed in your home? Is your home within 400m of a cell phone tower? Is your place of work within 400m of a cell phone tower? Are you surrounded by other homes with WiFi installed? 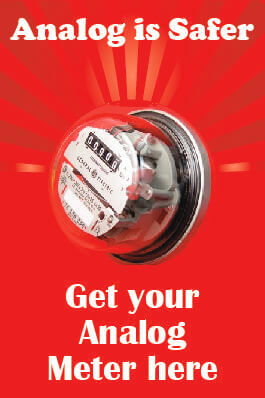 Is your home equipped with a smart meter to measure your electricity consumption? Let me start by sharing with you first how I scored. There are 28 questions in this questionnaire (this varies I keep adding an extra question now and again). But anyway, you have kept your score of yeses right? Well I have answered these questions totally truthfully – my score is 2. As in two yeses. I am even going to tell which ones they are: more than 4 hours on a PC a day and my neighbors have got WiFi – whose haven’t? I would be the first to point out that this questionnaire has its limitations. For instance someone who spends 4 hours a day talking on their cell phone will have a much higher electromagnetic radiation exposure level than someone who spends 2 hours a day. Someone who sleeps with their cordless dect phone next to their bed is subject to much higher exposure than someone who has their cordless phone down the hall at the other end of the house. If you are a child or let your children use cell phones and cordless phones, the risks are much higher. Nevertheless, the more yeses you have to these questions the higher your potential exposure to electromagnetic radiation (if you are unsure what this means read this). Determine the sources of EMF exposure in your environment. 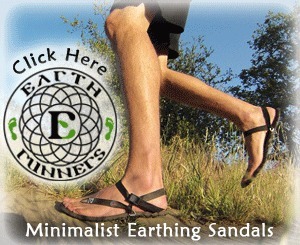 Do this by taking readings with an EMF meter and an RF meter. This will enable you to measure your electrosmog levels. You can then take steps to avoid, protect and shield as necessary. 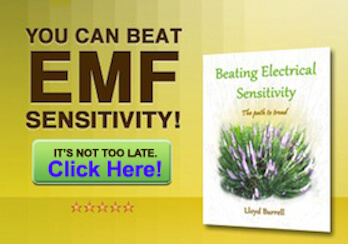 Download my EMF Protection Free Report for more information. 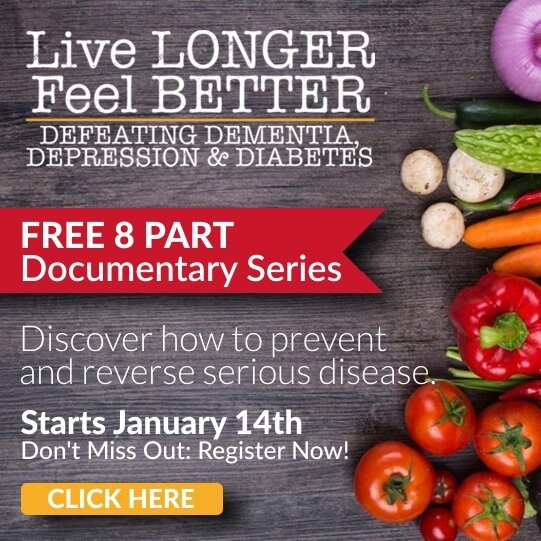 Regarding the lower levels of cancer, heart disease,lead relatively low stress lives diabetes, etc. in Amish communities: it seems only fair to note that in these communities people don’t smoke, don’t over-consume sugar laden products, don’t eat processed foods, get much more exercise, and tend not to be overweight. These factors are all major contributors to disease in non Amish communities. I don’t disagree that their lack of exposure to electricity is a plus. I just feel that medically, these other things are probably at least as beneficial. I quite agree. Living a healthy life for me is not just a question of EMF management its a rounded approach to health, a holistic approach. EMF management has been at the centre of my quest towards better health, but I also acknowledge that my dietary and nutritional choices were also of importance. Cutting out your EMF toxins does not make any sense if you load up on all the other ones by eating junk food and taking no exercise. Your questionnaire was pretty informative in indicating the various means of EMF exposure. In my answers, my score was a ten (10). response on the Amish…they bake with a ton of sugar and they all eat a lot of it…we have many Amish here in Wisconsin. Otherwise they are right on. The Cornet ED75 is the cheapest RF meter I can recommend (see my review) . There are cheaper RF meters on the market but often the trade off in terms of accuracy and sensitivity does not make them a good buy. I am new to this information and appreciate I still have much to learn. But firstly, I wish to thank you for your time and efforts in sharing this information. Does an ER transmitting device have a radius at which point the EMF & EMR ends and therefore ceases to not pollute the environment with radiation? Or is it more like air pollution ie once released into the atmosphere it continues to pollute the environment throughout the global atmosphere. Have you heard of teslas.us products which claim significant protection from EMF & EMR whilst continuing to be exposed to the offending devices. How can I best educate myself on this subject. I am unsure on the definition of terms used and units of measurement. Is an electrical magmatic field the area surrounding an electronic device in which the device is releasing electro magnetic radiation? Could you explain the difference between electrical magnetic radiation and radio frequency (is this what RF stands for), microwaves, and any other form of radiation. My understanding is that electrical radiation comes from the generation, storage & use of electricity. But I do not understand RF & microwaves any any other form. You may have this explained in an article I haven’t yet discovered. 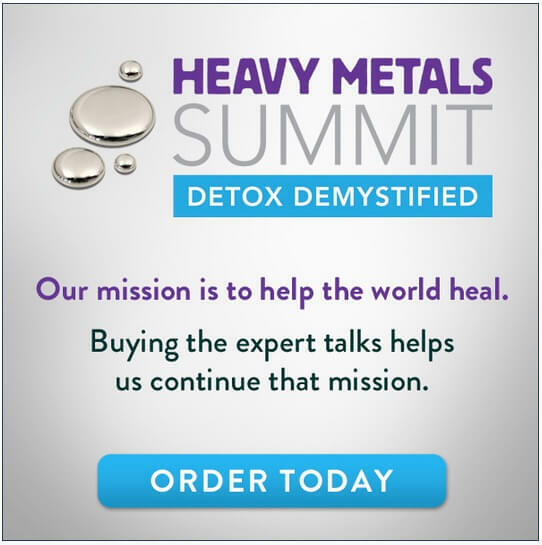 “Does an ER transmitting device have a radius at which point the EMF & EMR ends and therefore ceases to not pollute the environment with radiation?” – Different EMFs react in different ways, what they all have in common is that the further away you get from the source, the more the “signal strength” diminishes. Thank you for sharing detailed information. Unfortunatley my family is exposed to 3 Cell Phone towers within a radius of 200 to 400mtrs. Have been extremely concerend of the ill affects this will have on my family in the long run, but would like to reduce the impact. COuld you please suggest any products that can be purchased in India? 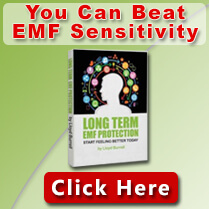 I don’t know of a company selling EMF shielding that is based in India, unfortunately. But I do know that LessEMF deliver to India.